Our friends from Fresh Monkey Fiction and ZICA Toys will be at WonderCon March 25th-27th in Los Angeles, California. 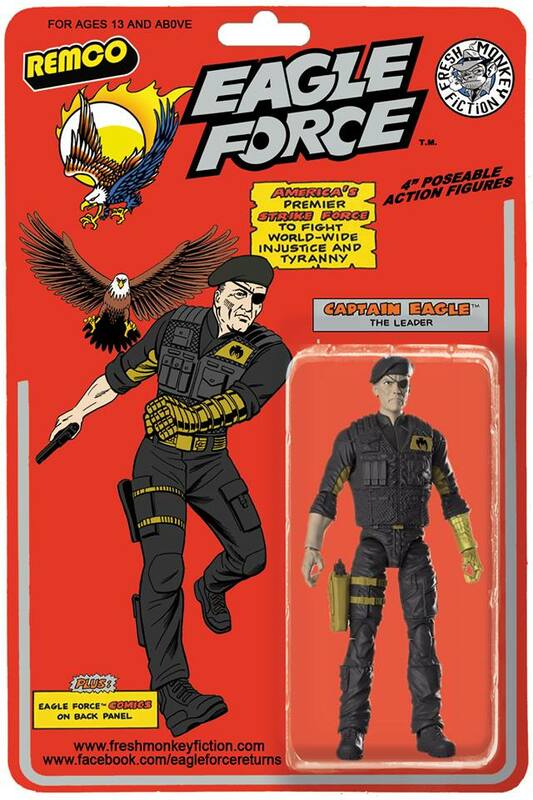 If you’re planning on attending, make sure to stop by and visit them, as they’ll have Amazing Heroes Action Figures for sale at the show…Plus a few special reveals for both Amazing Heroes Action Figures and Eagle Force Returns! Will you be at the show? Planning on stopping by the Fresh Monkey Fiction & ZICA Toys area? Sound off after the break! looking good. looking real good. Wow. The Stryker Jr figure will make for great Rock n Roll, Clutch, or Breaker customs as well. Even if you're not in EF as a brand, if yore a customizer the head sculpts on these guys will be worth the price of the figure. Nice looking stuff that could easily be another faction in the Joe universe. Leave your reply on the HissTank Forums. All times are GMT -4. The time now is 2:42 PM.